That class sounds awesome! I hope you have a great spring semester and I love this outfit. The pattern on the scarf is awesome. The outfit is very cute! And what a fun name for a new class. Rory. I want to steal your closet. YOU ARE SO CUTE! 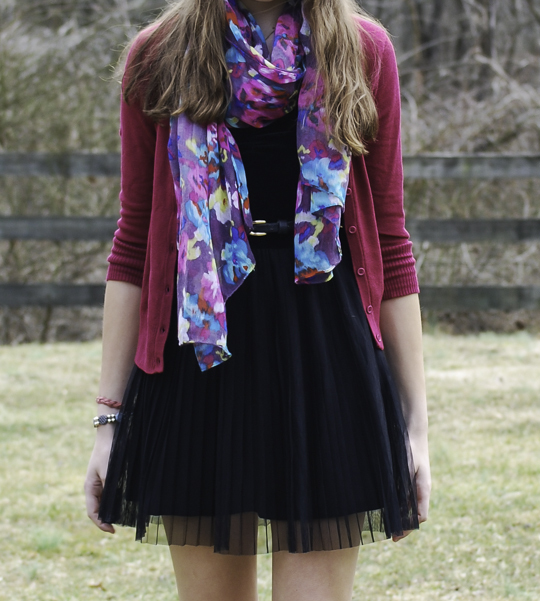 I am loving the black dress paired with the bright, springy colors. Plus, those boots? Totally unexpected and totally fabulous. I love that you paired such a girly dress/colors with awesome boots that definitely give it a very cool vibe. Love it! And yes, I can see a girl in Paris wearing this. 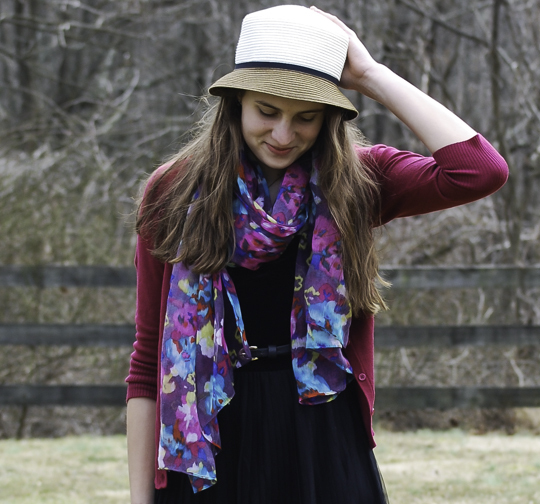 That floral print scarf is oh so pretty! I love the colors in this outfit! that's so cool! I wish my school did that...and your dress is so cutee(: Stop by sometime! I'm not a big Gertrude Stein fan either. I am a fan of this outfit, though. Those booties are darling. That course sounds so lovely! This outfit is absolutely gorgeous.